Advanced Imaging Concepts has been working with and providing solutions to C. Elegans, Drosophila and Zebrafish Labs for over 20 years. We are very experienced in working with and recycling previously owned equipment to assist labs in stretching start up dollars as far as possible without compromising on quality of work. We work with your existing equipment to meet your current and future needs while adhering to your budget requirements. 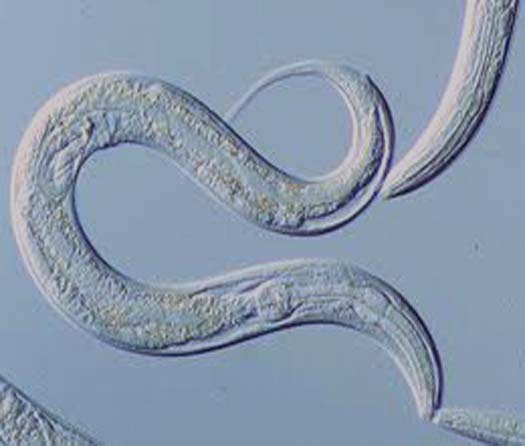 We specialize in setting up your lab with the same equipment you have been working on for years, providing a level of certainty that in your new lab you will be able to see the worms just as you did in lab you have moved from. Please contact AIC for a discussion of your application requirements and we can show you how to take your Lab to the next level. Below some of the products that are well suited to the C.elegan, Drosophila, and Zebrafish Laboratory's. Lumencor Light Engines - The SOLA-SM light engine™ is a high performance illumination source that’s as easy to operate as the light switch in your hallway. Powerful, solid state sources produce an intense spectrum of light from 380 to 680 nm, providing bright illumination of the visible wavelengths you need with no unwanted UV or Near IR to compromise your experiment. Like all Lumencor light engines, the SOLA SM is extremely stable with less than 2% drift over 24 hours of continuous operation. Warmup time is essentially instantaneous, with stabilized output achieved in 1 second with the flip of a switch or a tap of the foot-pedal. Simplicity of operation and stable, long-term use were primary goals of the SOLA SM light engine design. This is an arc lamp replacement that boasts all the advantages of solid-state sources. Why would anyone use an arc lamp when the SOLA SM produces more light with less power, requires no maintenance, generates very little heat and is highly efficient in a compact design? The SOLA SM light engine is an economical choice because bulbs don’t need to be replaced, power consumption is low and the working lifetime of the product far exceeds that of a lamp. Included with the SOLA SM is a foot-pedal switch, power cord and a 3 mm diameter liquid light guide. Not included are the dangerous doses of mercury and other hazardous materials found in metal halide and mercury bulbs which pollute our air, land and water. JenOptik - The NEW ProgRes SpeedXTcore3 from JENOPTIK. ProgRes® SpeedXT core cameras for microscopy provide a new breakthrough in CCD Speed. USB 2.0 ProgRes® SpeedXT core 3 2080x1542 pixel CCD 1/1.8" the first to feature Jenoptik’s innovative SpeedXT core technology providing very fast live speed rates of 17 fps in full resolution. Due to the enhancement of the live image speed in combination with the high resolution the user is enabled to facilitate precise focusing and easy positioning of specimens without interlace effect in a more efficient way - a clear advantage in the analysis of moving objects and routine work in laboratories. Exposure times up to 180 s ensure optimum captured images, also under low-light conditions. The maximum possible color depth is 36 bit which provides superior color reproduction. An excellent color reproduction as well as ease of installation & operation are other distinguishing features of the cameras. The software can be easily and quickly installed, enabling users to immediately capture brilliant images in excellent, acknowledged Jenoptik quality providing finest color grading's for sophisticated applications. Reach your goal faster with >SpeedXT core - technology – faster installation, faster focusing, faster capture – in proven Jenoptik CCD quality! An excellent color reproduction as well as ease of installation & operation are other distinguishing features of the cameras. The ProgRes Capture Pro software suite included with the camera makes camera control even for the inexperienced user straightforward and simple. The powerful ProgRes® CapturePro software, features: automatic exposure control, fluorescence mode, focus tool, measurement function, recording of image sequences, annotations, shading options, individual storable user profiles, different languages, and multi focus. The Powerful Multichannel Acquisition provides the user the ability to manually acquire multiple fluorescent channels and automatically pseudo color and overlay the images. The ProgRes® Software can be operated as a Stand Alone application and as Twain PlugIn on both MAC and PC Platforms. JenOptik - The NEW ProgRes SpeedXTcore5 from JENOPTIK. ProgRes® SpeedXT core cameras for microscopy provide a new breakthrough in CCD Speed. USB 2.0 ProgRes® SpeedXT core 5 2580x1944 pixel CCD 2/3" the first to feature Jenoptik’s innovative SpeedXT core technology providing very fast live speed rates of 13 fps in full resolution. Due to the enhancement of the live image speed in combination with the high resolution the user is enabled to facilitate precise focusing and easy positioning of specimens without interlace effect in a more efficient way - a clear advantage in the analysis of moving objects and routine work in laboratories. Exposure times up to 180 s ensure optimum captured images, also under low-light conditions. The maximum possible color depth is 36 bit which provides superior color reproduction. An excellent color reproduction as well as ease of installation & operation are other distinguishing features of the cameras. The software can be easily and quickly installed, enabling users to immediately capture brilliant images in excellent, acknowledged Jenoptik quality providing finest color grading's for sophisticated applications. Reach your goal faster with >SpeedXT core - technology – faster installation, faster focusing, faster capture – in proven Jenoptik CCD quality! An excellent color reproduction as well as ease of installation & operation are other distinguishing features of the cameras. The ProgRes Capture Pro software suite included with the camera makes camera control even for the inexperienced user straightforward and simple. The powerful ProgRes® CapturePro software, features: automatic exposure control, fluorescence mode, focus tool, measurement function, recording of image sequences, annotations, shading options, individual storable user profiles, different languages, and multi focus. The Powerful Multichannel Acquisition provides the user the ability to manually acquire multiple fluorescent channels and automatically pseudo color and overlay the images. The ProgRes® Software can be operated as a Stand Alone application and as Twain PlugIn on both MAC and PC Platforms.